Answer: A few environmental policies today do an exceptionally good job of insuring biological contaminants. However, most environmental insurance policies sold in 2014 did not adequately cover biological contamination risks. The definition of a “pollutant” in the environmental insurance policy needs to specifically include the biological contaminants that need to be covered. The most commonly used Insurance Services Office, Inc. (ISO), definition of what a “pollutant” is does not encompass biological contaminants very well. This is why insurance companies had to introduce separate far-reaching exclusions for fungi and bacteria to get out of paying “toxic mold” losses on property and liability insurance policies at the turn of the century. 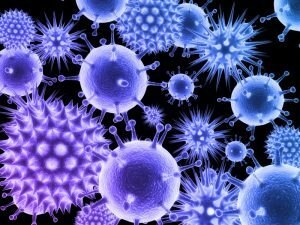 The relationship between viruses and pollution exclusions mirrors the precedent set with fungi/mold/bacteria as biological contaminants 15 years ago. There was a reason separate exclusions for fungi and bacteria were introduced; pollution exclusions were not sufficient to eliminate the coverage in the policy for losses arising from fungi and bacteria. Environmental insurance policies use the same core ISO definition of what a pollutant is. Therefore, for the same reason fungi and bacteria needed to be addressed separately as an exclusion in standard insurance policies, they need to be specifically covered as “pollutants” in the environmental insurance policies. The environmental insurance policy may contain specific exclusions for losses arising from or related to fungi/mold/bacteria. By default, Category 3 water losses become excluded because of the bacteria in Category 3 water; there are millions of Category 3 water losses annually in the United States. There needs to be coverage in the environmental insurance policy for the bacteria in Category 3 water. The environmental insurance policy may cover only a specific species of fungi or bacteria when the standard property and liability insurance policies exclude any type or amount of these materials. There may be a specific exclusion for losses caused by a communicable disease. A commonly used definition of “cleanup costs” limits the coverage to cleanup actions required under environmental laws. It helps to know there are no environmental laws pertaining to the cleanup of biological substances to understand why this provision is a problem. The cleanup coverage may only apply to outdoor pollution events affecting soil and water, whereas biological contamination is almost always an indoor loss exposure.